It’s heady times for SaaS – cloud application software. Salesforce is entering its third decade with tremendous momentum. It only had $1 billion in annual revenues by end of its first decade and it is expected to have $16 billion by the end of the second. Talk about a rocket ship! Workday, ServiceNow and many other SaaS vendors are doing similarly well. However, in writing my recent book, SAP Nation 3.0, I researched the enterprise apps market over the last two decades and I saw several red flags around cloud applications. After two decades of cloud applications (NetSuite and Salesforce were born in late 1990s) if you look at a grid of applications by industry, by geography there is only 20% or soin the cloud. Most cloud apps are concentrated in HCM, CRM, accounting areas, not operational areas or industry functionality. Even there, if you look for support for Brazil or China or the Czech Republic your choices drop off very quickly. These industry and regional white spaces won’t last forever. We are seeing startups target them, in industries like financial services, big banks are developing solutions to sell to others. The opportunities are limitless, but SaaS vendor investments have been grudging. Around the world, there are over a million on-prem ERP, CRM etc., application customers – running software from SAP, Oracle, Infor, Unit4, Microsoft and others. They are stubbornly not moving to modern cloud, in-memory solutions – either those of the incumbent vendors or those from SaaS specialists. These on-premise systems are increasingly a recruiting liability for customers. Many are heavily customized and are security and compliance risks. Yet, these customers are shrugging at those risks. There are all kinds of opportunities to target and migrate them. In the book, I call it “titling the bell curve” to turn these Bystanders into Risk-Takers and Modernizers. These days, every vendor appears to be releasing their own version of PaaS. They do fine in helping customers develop minor customizations. However, vendor stores with partner apps using that PaaS are surprisingly empty. Even after a decade, the platforms around enterprise software have shown limited success, especially when you compare them to the vibrancy of consumer tech platforms like the Apple iOS store or Fulfillment by Amazon, which were started around the same time. There are now 20 million Apple developers creating apps and in another big milestone, Apple has since paid out over US$100 billion in revenue to those developers. As much as 90% of certain product categories, such as patio furniture, sold on Amazon come from third parties. Enterprise PaaS needs to show similar success – and publicly disclose similar metrics, not just brag about the number of partners they have recruited. After a decade of Force.com, we should expect to see many more startups like Veeva Systems and Vlocity. Veeva went public within 6 years of its formation, and Vlocity is doing well in several verticals. However, they are more of the exception than the rule. Other SaaS vendors can show even less success. 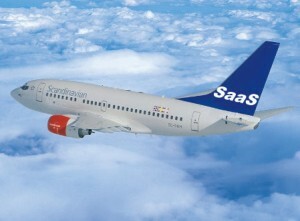 SaaS was a huge step forward for software economics. You used to buy software from one vendor. You would get hosting from a data center vendor. You would get application management from an offshore firm. You’d do upgrades with the help of systems integrators. Salesforce and other SaaS vendors packaged all that into one buy and delivered SLAs across those previously disparate contracts. But the economics have not evolved enough. When you give a vendor a three or five-year contract, you are entitled to see continuous improvement. It’s called Six Sigma benchmarking. In the auto, aerospace and other industries, they’re constantly expecting 2%, 5% improvements a year from their suppliers. In outsourcing, we have seen CMM Level 5 performances. That is something SaaS vendors will increasingly be expected to deliver. An example of that thinking comes from Zoho One, a bundle of their applications priced at $30 a month an employee, or $75 a month on per-user basis. It was launched in 2017 with 35 applications; it now has over 40. More apps will soon join the bundle. A dollar a day per employee is a compelling value proposition, when the functionality keeps growing exponentially. The SaaS model is increasingly looking like the on-premise model as large systems integrators burden customer costs with their implementation and on-going budgets. In its first decade, the Salesforce ecosystem had many of the smaller “born in the cloud” SIs like Appirio and Model Metrics. It still has a few like Slalom, but the bigger SIs have muscled in. Nothing wrong with that, if Salesforce can make them bring plenty of automation, remote delivery and other innovations. In my book, observers point out that the ecosystem around SAP cloud solutions like SuccessFactors is like the ‘Wild West”. That’s not an encouraging trend. Many customers were really pleased with their first-wave SaaS projects. But we are entering a new phase. The opportunity to convert plenty of on-prem customers remains. However, SaaS functionality has to grow across industries and global regions. SaaS economics need to be sharpened, and PaaS stores need to become more vibrant. Who will step up? It should be an exciting next few years.